Labor Day is coming up, so it’s only natural to feel the urge to barbeque. 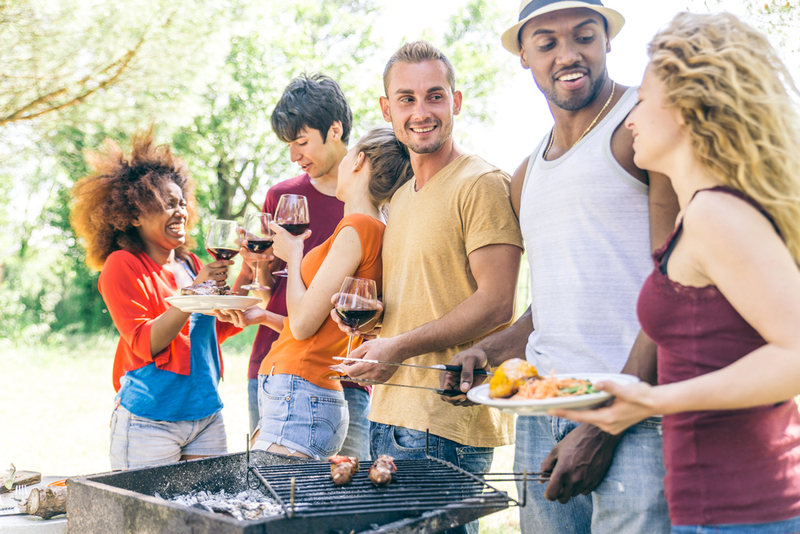 Whether you’re looking to have a few friends over or you plan on inviting the whole neighborhood, hosting a gathering in your apartment may seem nearly impossible. However, don’t let small spaces fool you. There are plenty of ways to have the barbeque of the year in your Birmingham apartment. Don’t diss your slow cooker when it comes to making meat. You may think it’s necessary to have a grill or smoker to make the perfect rack of ribs or pulled pork, but this certainly is not the case. Slow cookers take up very little counter space and allow you to pretty much season the meat, turn up the heat and forget about it. You can even make the meat a day or two in advance and heat it up before guests arrive. Nothing says community like a good old-fashioned potluck meal. Have your guests bring sides, desserts and drinks to share with everyone. This is a great way to have some menu variety, and also cut back on your kitchen clean up. Just make sure that if anyone needs to use the oven to heat things up, they let you know in advance. No host likes to be in the kitchen while all of their guests are socializing. Rather than spending the first hour or two of your barbeque preparing that veggie tray, do it the day before. Better yet, buy it pre-made! You can also grab foods that don’t require any sort of prep and leave very little mess, like chips and dip. Most apartment communities have shared spaces, such as pools and grilling areas, for residents to enjoy. Move your guests outside and enjoy these amenities. You can even bring some of your own fun. Play games and music (just make sure to keep it at a respectful volume). Apartment communities often give residents the opportunity to get a little more acquainted with their neighbors. With shared walls, hosting a party could be a little disruptive to those living next door. To avoid the hassle, invite your neighbors to join in on the fun or just let them know you’ll be having guests over.